5 vendors have this plant for sale.131 members have or want this plant for trade. My neighbor actually tore down one of my vines since it was "ugly" ie all leaves. Then my other one started to bloom (and also get sooty mildew and frost bite at the same time but that's Houston for you.) Anyway tho the packet says "sow after danger of frost" yada yada it's an obligate short day bloomer so I'm going to sow it MUCH later or keep it cut back (if we don't get a hard freeze this winter!) since it cannot bloom until the days get short! I really love this plant. I have two varieties and that bloom and produce beans both indoors and outside. The only negative aspect is that the mature vine sometimes develops an unpleasantly strong odor that gets on my arm if I brush against the plant and the evil smell follows me everywhere. It won't wash off with soap so I have to resort to rubbing alcohol or covering it up with lemon oil. Otherwise, it's a great plant. Pretty vine, easy to grow from seed. Flowers & pods are also pretty. Ours is growing in a pot against a trellis & brick wall, semi-shade area on the south side of the house. We plan on growing more of these in the yard. Interesting facts about this plant can be found here: http://www.tropicalforages.info/key/Forages/Media/Html/Labla... Haven't tried eating them yet, but maybe I will. I tried growing it last year and this year (two different houses). Neither plants took off, growth stalled at around 4 inches. Any idea why? http://www.eattheweeds.com/hyacinth-bean-purple-protein-and-... to Eattheweeds website by Green Deane. Keep in mind that plain 'ol KIDNEY BEANS are very poisonous if they are not properly and completely cooked. Put you in the hospital, they will. President Thomas Jefferson grew this annual vine at Monticello over 200 years ago. 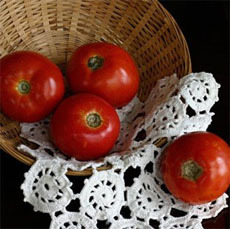 Its heirloom history drew me to try it initially. I have continued growing Purple Hyacinth Bean Vine for many years after seeing its dramatic beauty. 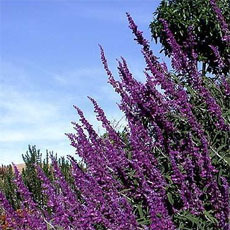 The purple shades in the foliage are unique and eye-catching. I have shared seedlings with many other gardeners. It takes a long time for the purple pods to dry completely and be ready for harvest. Seedlings are started inside the house in mid-April annually, two per four inch pot, for planting out after the May 15 frost date. Right now in my Pennsylvania garden, it is absolutely glorious on a silver metal arbor, loaded with bright purple bean pods and racemes of pinkish purple flowers. I was in great admiration of this vine....I'm looking for a vine to cover my surrounding fenced pastures as a privacy shield from the highway we are situated next to....however, the beans are a problem....I kept suspecting all through your article...then the last words "must be well-cooked".....or else they are "poisonous"....I am trying to shelter elk with vines on their fences!! so this won't work...wish I could try Kudzu!! I am growing lab lab about 100 km east of Melbourne, Australia. The climate here is cool/temperate, winter min daytime temp rarely gets below 10 deg C/50 deg F and the plant is growing very well, just one week away from the start of winter, it seemed to grow faster when Autumn arrived. The summertime beans died off over a month ago, but the lab lab is covered in flowers and seed pods, with no signs of cold damage. The plant is growing much bigger than i expected and next spring i will plant it in an area with heaps more room. Will be eating the young seed pods for the first time tonight in home made spring rolls. Love the hyacinth bean vine, purple flowers, pods and stems are just beautiful when climbing a panel fence.. Does well in my area as a annual and saving the seed is a breeze. Saw this plant first time growing in the garden at work. Harvested some of the seeds. Grew them in a pot as I had no garden area at the time. They grew fairly well, did have blooms and produced seeds. This year, however, I do have a garden, and they are really the talk of the neighborhood. Did not however estimate the weight and length they grow. Next year I will be more prepared. Be certain to have a STRONG trellis or be prepared to reinforce it! They are beautiful, and this is the first time I have had hummingbirds in my yard! I bought seeds from Montecello, VA in April and brought them home. June 21st I planted them in peat starters. Today, the seeds are already 2" high. I have a trellis to plant them along. My question is, if the seeds are poisonous, are they rodent resistant? I have way too many gophers. Any thoughts? Help! A friend gave me seed pods last summer (2009) when I complimented her on the way this plant looked climbing over her backyard trellis. She had full shade under one side of it in the evenings by the grill and eating area! It was amazing! She told me to plant the seeds in a pot in January of 2010 and watch them grow. Then to transplant the plants to the backyard after the first frost. I did. So far so good. My fiance and I bought our house this past winter so this is a blank slate for us this summer and I was excited to get started. I am not sure how the quality of the soil is and the ph and such, so I cautiously added soil from a local garden supply store. The plants have been under the trellis for exactly 7 days and I have noticed that two of t... read morehe plants have already gotten a few blooms at the top of the highest shoot. Is this normal? Did I wait too long to transplant these little guys? 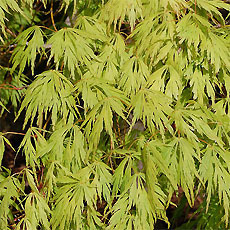 Several of the bottom leaves also seem to be changing to a yellow/green color as well. Love this plant. Growing on a wooden fence with afternoon sun in Texas. Wilts every day and still hangs in there. Warning: Last two years it has been badly infected with spider mites. Hyacinths are very pretty, and ever so fragrant. 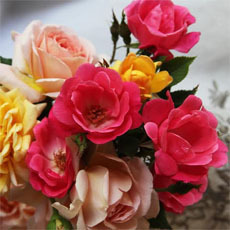 Plant them in autumn for a spring show. One does have favorites, and while my gardens have the red hyacinth and the blue hyacinth, the one most coveted is yellow and it is the most rare, at least for those of us who live in either the Commonwealth of Virginia or Washington state. Plant in full sun, with a bit of protection from the rain, if one lives in the Puget Sound area. My Hyacinth Bean vine is not blooming on September 7th, in sun from 1:00 on. I live in PA, zone 6a. We have had a rainy summer. There is lots of vegetative growth, though. This plant is easy to grow. The seeds I started were at least a couple of years old and they sprouted within a few days right outside. Then again I am in Corte Madera and we have a temperate climate. This is a STAPLE VEGETABLE for us Pilipinos! I had no idea it can be toxic until I read about its toxicity the other day (mature dry pods). Shoots and flowers can be eaten raw in salads. Young pods are great steamed or stir fried. I looked lablab purpureus up on PubMed and other sci sites and found some interesteding stuff. It's being used as a ruminant food (goats, cows etc), but there are indications that it has a low nutritional value. It is considered a tribal legume for some areas in the vicinity of India, but it isn't recommended as a human food source. I haven't yet found anything definitive on what makes the seeds potentially toxic to humans, though I did find a bit on some heat-sensitive compounds in it. One interesting gem I came across is that lablab takes up heavy metals. Bad for eating, but potentially useful if you have a contaminated site you're trying to beautify and other plants aren't going well there. Personally, I really like lablab as an alternative or complement to morning glory - I'm ve... read morery allergic to morning glory and I like the look of lablab even better. I am glad to see that others have eaten the bean and survived. It has been a couple of years since I grew this vine, but I enjoyed it immensely when I did. I had read that it is used in Japanese cuisine, so I thought it was safe to eat and tried it. I believe I even ate it raw, but my memory may be off. I am certain I didn't suffer any ill effect from it. Regardless of whether you eat it or not, it is a beautiful vine that grew very well both years I planted it. I purchased plants that were already started at the local nursery. The plant is lovely and easy to grow. However, be careful where you plant it because it can become invasive. 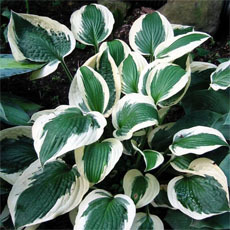 It will take over and shade out other plants. Also, it is a prolific seed producer. I planted one about 6 years ago and loved it the first year. However, I am still trying to get rid of its off-springs. Ditto all the comments about its beauty, slowness, heaviness. Overall I loved this plant, especially the pods. In Duxbury, MA it did fine in nearly full sun, only needed daily water when getting established. I'd like to know more about poisonous seeds that are "edible when properly cooked"--what does that mean? I planted it this summer to cover a chain link fence and cover it it does! The only issue with this vine is as it started blooming and producing beans, it has attracted aphids like crazy. I do have lady bugs to the rescue, but not nearly enough! I spray the blooms and beans with my hose, that helps and have had two harvests already. As a matter of fact, I brought beans I cooked just yesterday to work for myself and my coworker's lunch today! IMHO, the growth potential of this plant is underestimated. When we lived in Frederick, MD (21701), I planted this in our backyard garden where it got nearly full sun, and had it not only climb our house, but up our television antennae, eventually overtopping it. I conservatively estimate the longest vines reached more than 20 feet. pretty purple leaves. In our region 7b, it can not handle FULL SUN, may be morning sun with partial shade. Beautiful addition to our tiny garden. Took a while to germinate, but then took off. You need a strong trellis for it; it grows quick and heavy. It seems quite hardy; I'm curious to see how it will handle a San Diego winter. The soil where it's growing is less than desirable (plus my dog pees on it! ), and it's really growing beautifully. In my family it's known as "Aunt Leona Beans"--you give the beans to someone and they name it after their favorite aunt. Any idea when to harvest them? i love this plant. i live in palm springs, CA where summer days can reach 120+ degrees. this plant seems to likes to have cool, moist feet in this kind of heat and will sag a bit from time to time in the height of the heat. still, a splash of water and they bounce right back. it's a vigorous grower and flowerer and i always have tons of seeds left over for the next year. 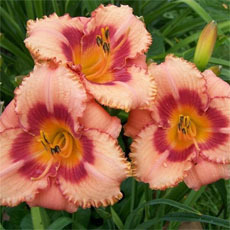 i got the seeds in oklahoma and have sent them to friends to grow successfully in new jersey, florida and oregon. it does get lots of black bugs on it but they come right off with a spray of water. i haven't used any pesticide on them as my garden is organic. can't be beat for getting attention. which drop and grow the following season. Very easy to grow, a hummingbird magnet. I've never had much luck attracting hummingbirds. They would actually hang out and perch in this plant. GREAT vine!!!!! Even though I planted it late in the growing season, it performed exceptionally well. The blooms were a gorgeous, vibrant purple, sweet smelling flower, (similar to hyacinth bulb flower), and the seed pods were a beautiful purple that added color to my garden. The butterflies, hummers and hummingbird moths ate it up!!!!! Highly recommended!!!!! :))) Can't say enough good about this winner!!!! This plant is pretty in every way - even the seeds are attractive! 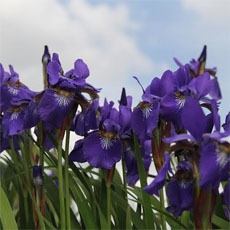 The foliage has purple veins, the flowers are fragrant. Easy to grow and easy to admire! Loganville, Ga - This plant did very well planted in Full sun...it took off fast and required support. The purple pods are gorgeous! This is a great, quick growing vine that will beautifully cover an arbor (or anything else). Last year it even self-seeded here in zone 5! Soaking seeds aids germination. I love the hyacinth bean , It is wonderful to cover fences and anything else for that matter. It attract hummingbirds ,bees, and some of the butterflies. 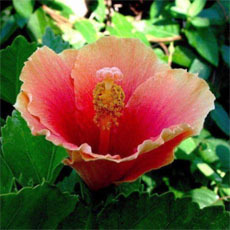 The foliage looks tropical , the blooms are fragrant, and the pods are decorative. It decorate the garden for months instead.of weeks I usually I plant the seed where I want them to grow , thus in the past couple years they reseeded themselves. I had one growing around a bluebird nesting box and it grew very well. I like that not only the blossoms are attractive but also the foliage and the pods. I also had a few vines growing among Morning Glories. Grew this vine for the first time this year. It was awesome on my trellis.I bought it at a local nursery and am collecting the seed pods for next year. A lovely and quick vine to grow, it took off like lightning, quickly covering up a pole, soon after there were luscious buds and blooms everywhere! I save my seed to grow each year. 2 years ago my son planted his first one, right up a sunflower!! It was beautiful. I planted mine across my front fence and it took off like you wouldn't believe.. it trailed down both side fences!! People were stopping and asking me what it was!! It is one of the prettiest vines I've seen.. and talk about privacy! If you need privacy from something just plant this vine! And the seed pods it produces are quite plentiful! Im hooked.. I love this vine!!!! This is my first year to grow this particular plant and I am thrilled with the results. The vines were slow to take off, but once they did they are doing great. Flowers appeared as soon as it hit the top of the trellis and now bean pods are forming. The local farm supply store grows these every year and freely give the seed to anyone who desires it on a first come first serve basis. I was fortunate to go by at the right time and received my seed. I was told by the owner of the supply store that far from being poisonous, these are very tasty, along the lines of a greenbean. I intend to try them for myself as soon as the pods fill out. I don't know when to harvest them. Any suggestions? I am growing this plant in Athens, Greece. I started from seed directly into the soil mid-March and have three vigorously climbing plants (the others I gave to friends...). They haven't bloomed yet but I detect some buds. They love it here and have out grown the trellis (15 feet) in my courtyard. I hear they come from Egypt and are also known to Greeks. The elderly ladies who pass by outside my balcony where I also have a plant growing tell me how much they love the "fasolia" (bean in Greek). One even recognised it from the foliage alone. When my siblings and I were growing up in Cuba, our mom planted some Hyacinth bean seeds given to her by the gardener. They covered a huge area of the back fence, bloomed all the time, if I remember correctly, and was a beautiful sight to look upon from the kitchen window. Years later, living in NC, my mom found some more seeds and planted them on a back corner of the house...she gave each of us some seeds. I planted mine where I lived in SC and they did quite well. Through the years and several moves later, we lost our seeds. My sister is now on the hunt for some seeds or plants in Miami. I hope to get some seeds also. We love this vine and it brings back many pleasant memories of long ago. My sister got some seeds and sent me som... read moree. We finally have some small seedlings coming up! This grew to cover the open side of our front patio. Just beautiful, and very little care. Constantly had strangers coming up and asking about it. It almost made it through the winter, but we had a surprise frost, and boom, dead. But otherwise, great great plant, much like the runner bean I planted the year before. As far as the poisonous thing, I have heard this also, although I hadn't at the time I planted them. So I ate them. They made a tasty fresh bean salad, and I suffered no ill effects what-so-ever, nor did anyone I fed it to. I have seen recipes for Hyacinth Beans, yet they do list the possibility that it is poisonous. I am thinking that perhaps it is something that some people have a sensitity to, but others can eat with no problem (at least in moderation).... read more Maybe try a couple beans at first so see how you react to it? Definately use with caution, but I can offer first hand testimony that it isn't necesarily going to kill you. I've tried growing hyacinth bean two years in a row now with the same results--lots of foliage, no flowers. I see now (from one of the previous posts) that it's been getting too much sun. So, I will try again next year and hope for the best! I planted a few last Spring. Was slow to take off but then went wild. Love the flowers and it makes a great vine. We had an unusually warm Summer, so not sure if it would perform as well on our normal cool Summers. Well worth the try. Planted one seed and it bloomed in about 2 months....so quick and such vivid purple blooms....nice fragrance. Really is a good climber too. I can see how it could cover a whole fence or trellis in no time...I gave it no extra care and did not fertilize it at all, it is really about as care free as you can get.. I planted three seeds that I got from my mother in Oklahoma right in the garden in late spring here in southern California. All three were planted in a little hill that I enriched with compost. This plant is a vigorus grower! It has covered one wall of the garage. I used a homemade, heavy gauge copper wire trellis twisted onto nails in the beams of the garage roof as support. Some of the vines are finger-sized in width. Other than compost, I don't use any other fertilizer. The vine reminds me of Scarlet Runner Beans (Phaseolus coccineus); next year I may plant one of each to see how that will look. As to the small bugs reported, they are probably aphids - I had some on one vine, and used Safer's (insecticidal soap) to control them. My chainlink fence is covered in this plant - it grows very fast. Although some say you need to soak or take seeds out of pod, I just put them in the ground and they grow within a couple of days. Could be the Florida sand. I sent some to my sister in Ohio and she said they are growing. Looks like we have a variety of states where this plant is useful. One negative - I get tiny little bugs that cluster up on them; I'm not sure what kind they are but there are a lot of them. I spray them with Sevin and it takes care of them. I was told to plant the white edge up. Also, they don't cotton to being transplanted so should be started in a peat pellet. If you remove the mesh from the outside of the peat pellet before you plant, do it before the roots are sticking through. I have the seeds germinating right now in San Diego, California; it's been 19 days and still nothing yet. The bag instruction says 7-20 days. I hope my luck comes at last! Great Hummingbird attractor but heavy vine. Sturdy growing pole, trellis, fence will be needed. NOTE: Dry seeds should be well cooked in two changes of water before eating. Raw dry seeds are poisonous and can cause vomiting, labored breathing, and even convulsions and unconsciousness. In zone 8, where this plant is hardy, the seeds should be planted appox 2 weeks after the last frost date so it has enough time to form flowers. It flowers best with less than 11 hours of daylight. This ratio of light to dark is what signals the plant to initiate flower buds. For livestock, it is an adequate source of much needed protein: it can be grazed in a pasture setting or as a companion crop to maize, cut as hay, or mixed with corn. 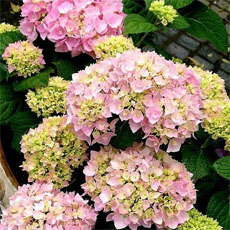 It is drought-resistant summer-growing annual, and is resistant to both disease and bugs. This is a beautiful vine.It covers fast and does need something to climb on that is sturdy. Last year I had 2 growing on a arch trellis and they got so heavy it broke the trellis. Before planting keep that in mind. Before planting,install a support for the vine to climb.